Are you intrigued to learn more about Tony Buzan and his creative journey into the unique world of Mind Mapping? We’re excited to introduce you to our brand new, Tony Buzan Special Edition Ultimate Plus package. With this limited-time, special edition pack, you can enjoy the complete set of iMindMap Ultimate features, plus Tony Buzan’s Master Class 3 DVD collection. Expand your own creative learning with the inventor of Mind Mapping himself. Gain exclusive access to live footage of the master at work and gain an insight into his inquisitive mind. In his Master Class, Tony shares lessons and exercises that will provide you with a higher understanding of core thinking skills, such as creativity, memory and speed reading. Click here to learn more about the Tony Buzan Licensed Instructor Course in Mind Mapping and view upcoming dates. December 2016 saw the 9th World Mind Mapping Championships head to Singapore, and we were delighted that the first and second prizes were awarded to two of our very own ThinkBuzan Licensed Instructors. Hosted by the inventor of Mind Mapping, Tony Buzan, the event took place over 1 day and saw participants complete three disciplines to compete for the title of Mind Mapping Champion. Firstly, participants had to create a Mind Map based on what they heard in a 30-minute lecture on a random topic. Secondly, they had to build a Mind Map based on a written article, and lastly create a Mind Map on a topic of their choice. The participants were tested on their ability to create the most effective Mind Map based on several criteria, including the demonstration of Mind Map principles such as use of images and keywords, use of humour and playfulness, and originality and impact. Mind Mapping TLI Liu Yan was crowned the Mind Mapping Champion. Lui first met Tony Buzan back in 2011 at a speaking event, and it was from that point on that she knew she wanted to dedicate her professional career to promoting Mind Mapping. Since attending the ThinkBuzan Licensed Instructor Course in Mind Mapping in London during August 2014, Liu has been teaching Mind Mapping to others, and has now taught an outstanding 60,000 students approximately. We recently caught up with Tony Buzan, inventor of Mind Maps, at the home of Mind Mapping and iMindMap, Tec Marina, to discuss iMindMap 10 and the all-new Time Map View. In the video below, Tony talks about the merging of Mind Mapping and traditional project timelines in iMindMap 10, and the ability to take your ideas further than ever before as a result. 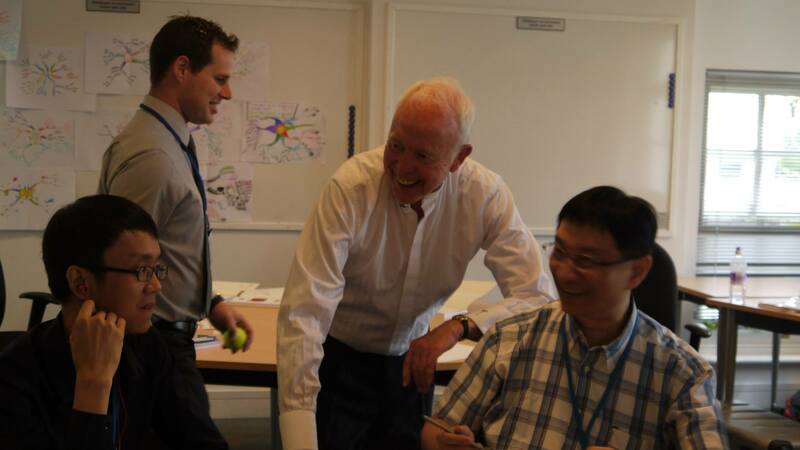 Last December the iMindMap team were delighted to welcome Tony Buzan, inventor of Mind Mapping to our headquarters and the home of Mind Mapping, Tec Marina, in Penarth, Cardiff. Tony, who is very much involved with the creation and delivery of our training courses, was in town to host our last ThinkBuzan Licensed Instructor courses of the year. Creativity was definitely in the air as course delegates worked their way to an official TLI accreditation in Mind Mapping, Memory Skills and Speed Reading, with Tony guiding them the whole way through. 100% course satisfaction from our newly accredited ThinkBuzan Licensed Instructors. 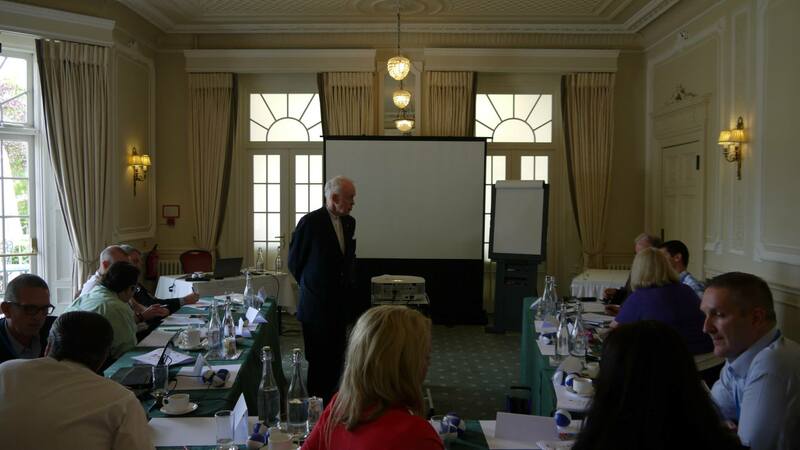 Last month saw the ThinkBuzan Licensed Instructor Course in Mind Mapping take place in Tony Buzan’s hometown, Henley-on-Thames, just outside London. What did the delegates learn? Tony kicked off the proceedings by presenting an insight into Mind Mapping and how he came to discover the globally recognised technique. The delegates were guided through the principles and the science behind Mind Mapping and how it aids memory and recall.